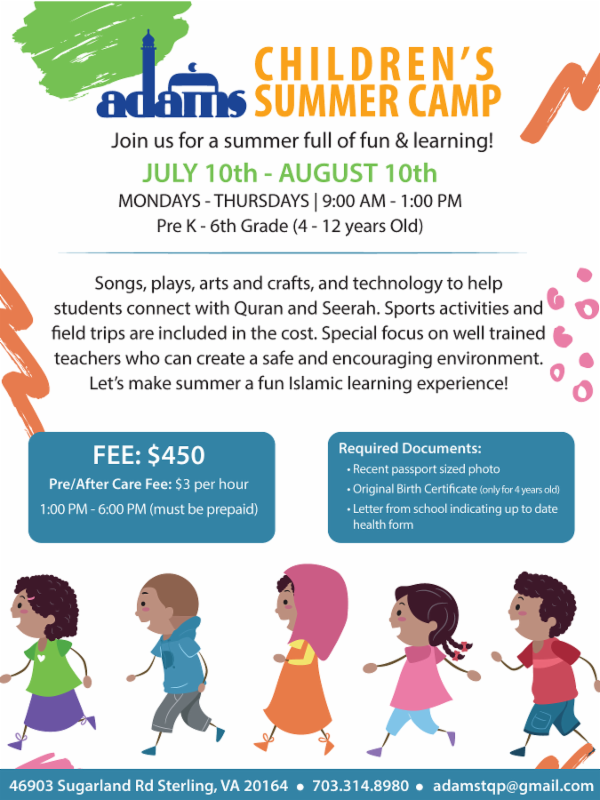 MALV Sterling Summer and Quran Camps have started their registration! 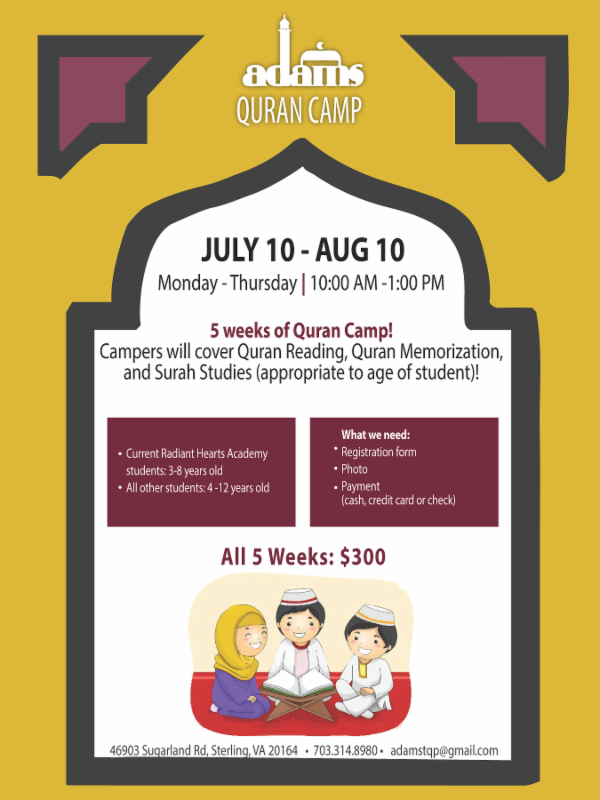 Both camps will be running from July 10th to August 10th. To register, please download and complete the registration form. Please complete the Credit Card Authorization form if you intend to pay by credit card. Completed forms can be dropped off to Room 103, Monday – Thursday from 8:00 AM – 4:30 PM.